What is it like to attend a police academy? • What is it like to be a Law Enforcement Officer? • What are the laws in regard to firearms, arrest, search and seizure? • What is a crime scene and how do you work it? 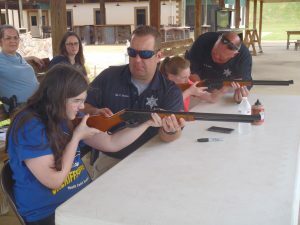 Through the use of a team of experienced instructors and speakers, Cadets will explore the various challenges law enforcement officers face each day. The Cadet Academy is a one week summer program geared toward youth who are interested in law enforcement as a career choice. They are provided a working knowledge of all aspects of the daily operations of the Ouachita Parish Sheriff’s Office. Young people who reside and attend school in Ouachita Parish are invited to apply. 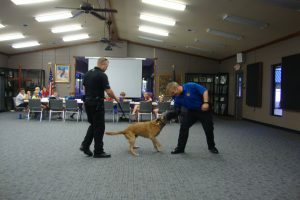 The academies are for students who are mature and have an interest in law enforcement. Youth interested in attending must be 10 to 13 years of age and should be physically fit enough to participate in daily physical training and defensive tactics. 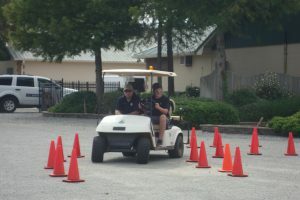 Cadets must also be able to provide their own transportation to and from the Cadet Academy. Directions: I-20 to Well Road, go south on Well Road, turn right on New Natchitoches Road, left onto Trade Street, then right onto Richard Fewell Road. Clothing: Cadets are encouraged to dress comfortably. Shorts and t-shirts are permitted but must be modest and inoffensive. Tennis shoes are also required. Cadets will be required to wear jeans/pants during the outing to OCC and for the obstacle course. Food: Cadets are provided lunch and two snacks. Water is available at all times. You MUST be recommended by your school principal. Recommendation forms and applications will be made available to schools or you can print one by going onto our website www.OPSO.net. The forms are also available by clicking the link below. Classroom space will be limited to 20 cadets per session. Qualified applicants will be accepted on a first come first serve basis. Applications from youth who have been placed in out-of-school suspension during the present school year will not be accepted. All applicants will be notified by OPSO. Class starts promptly at 8:00 a.m. and ends by 5:00 p.m. Graduation is Friday at 5:30 p.m. Families are encouraged to attend the graduation program.